An “Internships and Work Placements” Scheme has been developed under the “Young Professionals Programme” by leveraging the “Business and Professionals Programme” in partnership with a range of organizations across industry sectors. This scheme aims to provide students, graduates and returners the opportunity to gain valuable skills, improve their employability and to encourage greater socio-economic diversity within different industry sectors. At the same time, this scheme also benefits our partners and potential employers by providing them access to talented graduates from a diverse range of backgrounds across industry sectors and helps them meet their diversity targets. The “Internships and Work Placements” are merit-based, available at different durations and on different payment basis which will be confirmed with the organization providing the specific “Internship or Work Placement” at the time of the interview. We will update the “Internships and Work Placements” on this page on a monthly basis and candidates will need to apply before the end of each month (please refer to the section “How do I apply” below). Interested candidates can submit their CVs and cover letter to info@maits.org.uk. Please feel free to contact if you require any further information. Application for 2020 World Bank selection process for Young Professional Program is open from June 14 – July 28, 2019. Please encourage your children, nieces, nephews to apply if they satisfy the criteria. Should be born on or after 1 October 1987. Two work experience placements in the Manchester office. Addison & Khan Solicitors are looking to hire interns and candidates on a work experience basis, subject to availability on dates. Interested candidates please send your cover Letter and CV to info@bpfuk.org. DWF LLP is offering 1 legal internship for law graduates this year. Interested candidates please send your Cover Letter and CV to info@bpfuk.org. IHS is an research institute dedicated to global international development based in Rotterdam, Netherlands. IHS are currently promoting the OKP scholarship program, a 100% fully-covered scholarship program, for international development professionals from Pakistan. Improve social housing delivery by sharing knowledge with social housing specialists from across the globe. Taught in partnership with the Municipality of Rotterdam. Critically evaluate theories and assess their relevance to the conditions of cities around the world. Practically-focused and innovative program with six specializations to tailor-make your studies. The OKP scholarship will open to applications in February, however candidates need to apply to IHS and gain an admission letter first so it is important apply as soon as possible. 10 separate internships are available for candidates with a strong finance background within the Birmingham branch. The role will require good analytics and reasoning, decision modelling and presentation skills. 1 internship is available for a candidate with a strong fashion background in London. 1 internship is available for a candidate with a strong fashion/merchandise background in London. 1 internship is available for a candidate with a strong finance background in London. 1 internship is available for a candidate with a strong social enterprise background in London. 2 separate internships are available for candidates with a strong background in sales and PR & marketing in London. 3 separate internships are available for candidates with a hospitality background in Southall. Various medical placements are available for medical students in London. Candidates must state what area of Medicine they wish to apply for in the cover letter. 1 internship is available for a candidate with a strong telecommunications background in London. 1 internship is available for a candidate with a marketing/business background in London. 1 legal internship available for a strong candidate with a background in Law to work as a Paralegal and shadow a caseworker. 1 internship is available for a Law or Accounts student at the Addison & Khan Solicitors’ office based in Ilford. 1 internship is available with HGA Accountants for a Finance student based at the Ilford office. 1 internship is available with HGA Legal Business for a Law student based at the Ilford office. 1 internship available with One Investments for a person who can manage social media. 1 internship is available for candidates with a strong finance background. 1 internship available with the charity for conducting research in the Healthcare. 1 internship available in parliament. 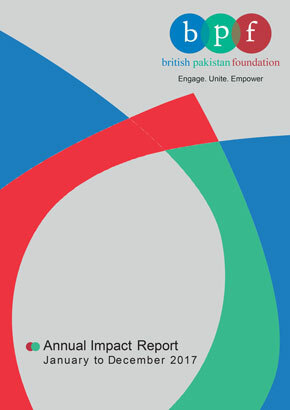 The scheme is open to all Members of the British Pakistan Foundation who are undergraduates, graduates, post graduates and returners (who are returning to work from a career break). In some cases, certain organizations will also provide work placements to pre-university students and this should be clearly stated in the application on submission. What can I get out of the scheme? You will gain valuable work experience and skills which will help you obtain a full-time position in the future. You will widen your professional network and receive useful career guidance. You will also receive guidance on producing an excellent CV and Cover Letter, as well as, good interview technique. The BPF Office will review each application and then submit it to the relevant organization who will then get in touch with the candidate to arrange an interview. The candidate must keep the BPF Office informed of progress. If the candidate is unsuccessful with their first choice, we will then identify another suitable “Internship and / or Work Placement” and after discussing this with the candidate, we will then submit the application on behalf of the candidate. We will aim to match the candidate with an opportunity that is based within reasonable travelling distance, but this may not be possible in some cases. In the event that the BPF Office is unable to identify a suitable “Internship and / or Work Placement” at the time of your application, your name will be placed on a waiting list until a suitable opportunity is available.